Large Custom Retaining wall with natural rocks. Sloped backyard landscape. Green luscious lawn in the front. - Curb Design Inc. 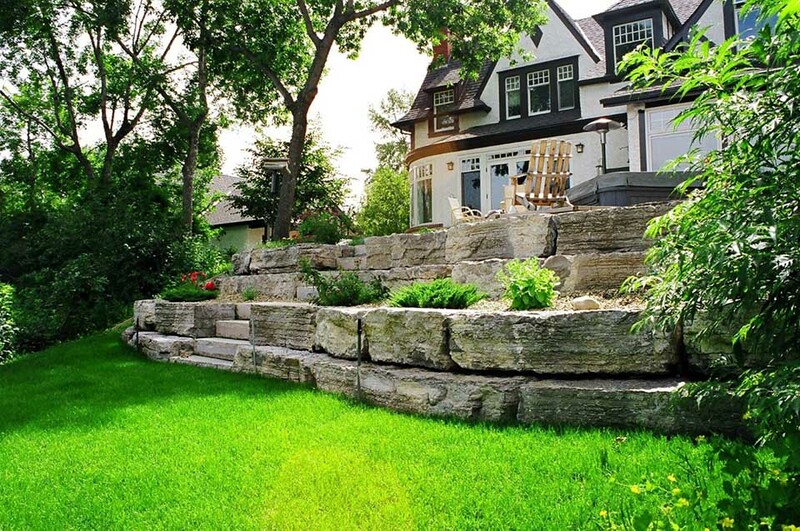 Fantastic large custom rocks where used to create this retaining wall. Hot tub and outdoor heater on the far right corner of the image. Deep green lawn in the front with large trees.